We moved to the farm in 1999 after Dave retired from the Air Force. We were looking for a farm with a bank barn and property for our horses. The front corner of our property was the long ago location of the Sharp Post Office. We have added on to the house built in the early 1800s. We thoroughly enjoy living in Fulton Countyand have made many great friends. The quilt was chosen, because I like star patterns and the color red. The quilt on the bank barn almost glows when the summer afternoon sun strikes it. 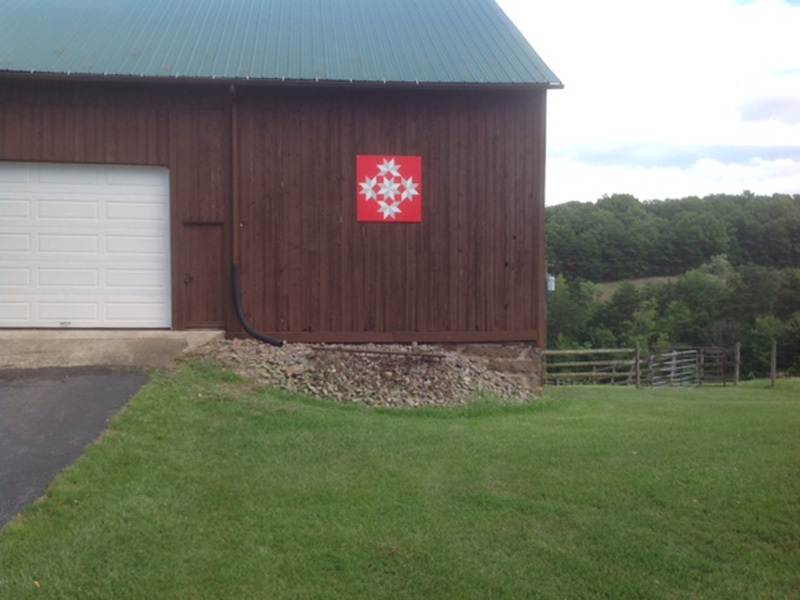 We liked this quilt so much we had another smaller one put on the tool shed.